You will be collected from your accommodation at 7.30am or if you prefer, a different time for a memorable hiking from Jinshanling towards Jinshanling East. 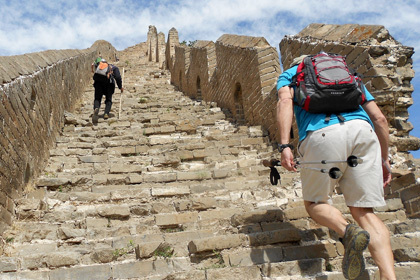 The adventure begins at main gate of Jinshanling where you ascend via a trail toward the Wall. If you’re step-master, this is right for you. At the top you will feast your eyes on spectacular panorama of Jinshanling. Take your time and enjoy the views. 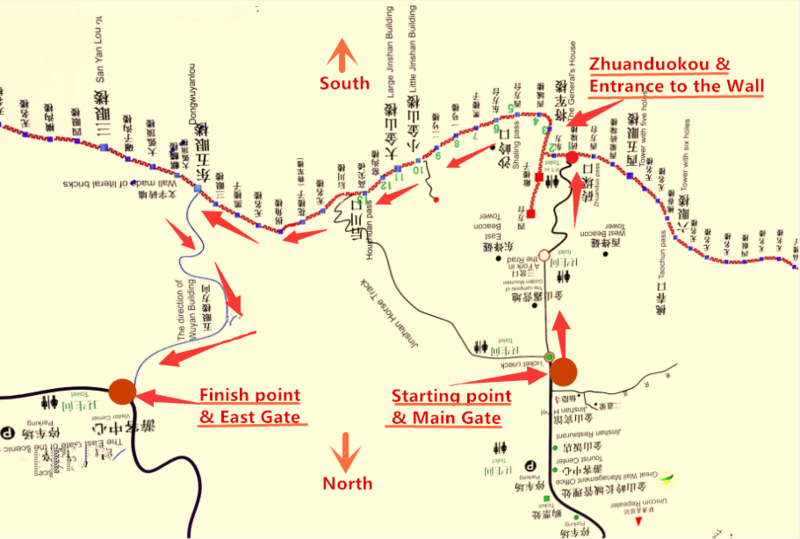 As the trail from Jinshanling to Simatai is blocked, the original hike from Jinshanling to Simatai can be done half way–Jinshanling East. You will exit at tower 22, backtrack a short distance and then descend via a newly constructed trail towards a new parking area. Still, Simatai east can be seen from the other vantage points at Jinshanling East. You will be rewarded with a yummy lunch at Bakeshiying town after the hike. Returning to Beijing your driver will be glad to have a photography stop at Bird’s nest free of charge on your way back to hotel if required. Note: Jinshanling currently has two gates: the Front Gate (Main Gate) and the East Gate. Be aware that visitors are not allowed to enter from the East Gate from November 16th to March 15th and only the Front Gate is available, but visitors can still get out from the East Gate before 15:00 between Nov 16th and March 15th every year. Jinshanling has 5 main passes and 67 watchtowers. The entire hike is about 6 miles /7 km and takes roughly 3 – 5 hours. This hike brings you an unforgettable journey through the wild beauty of Jinshanling. Beijing is not cheap. If you travel on a budget, or if you ‘d like the freedom, flexibility and adventure of walk on your own, and don’t like to be restricted to particular travel dates, you can choose self-guided version of our guided trip- just check the link – we are always happy to run self-guided option for you.